Shall we watch a movie this weekend? Yes sure, but which one? 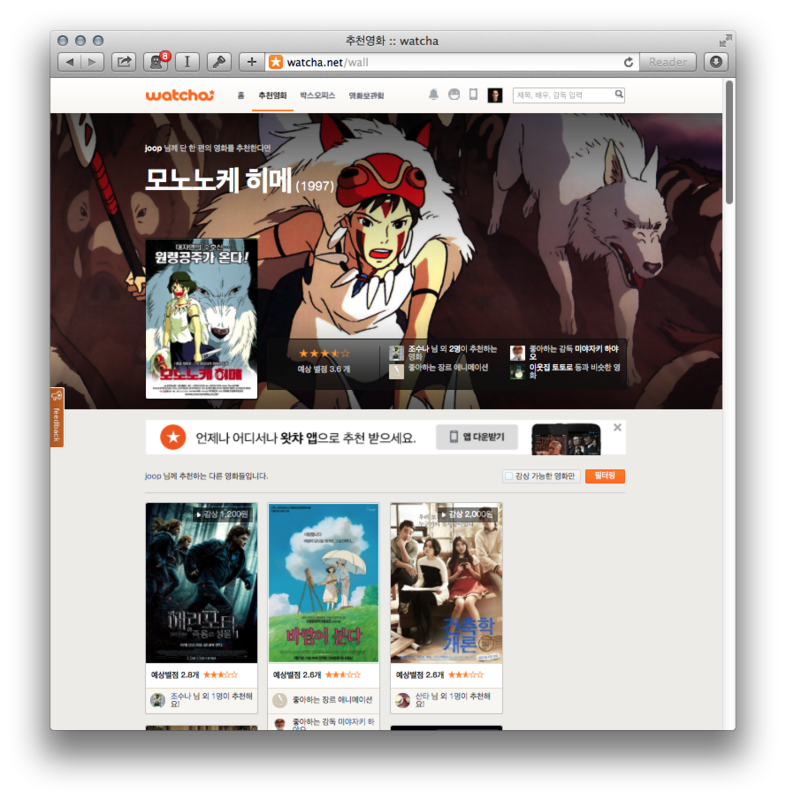 Watcha.net is a movie recommendation engine from Korea. I’ve just subscribed and had to vote on 50 movies that I liked. Now it’s already throwing some good recommendations to me. Building the profile is quite addictive, browsing around the old movies you watched in the past. I like the GUI, link with IMDB top movies, festivals, filmhouse, and little trailers that can give you a snapshot. And better yet, you can recommend movies to your friends too! The Android app is here, the iPhone app is hopefully in the making.